There are two ceremony sites for weddings at the Japanese Friendship Garden, the Koi Pond and the Ceremonial Gate. The wedding site at Koi Pond is actually a deck. The Ceremonial Gate is more open and photographs well with its authentic architecture. The Exhibit House overlooking the Zen Rock garden is a really nice staging area for wedding ceremonies at Koi Pond. The Ceremonial Plaza is the main wedding reception site that is wonderful if you’re looking for a San Diego outdoor wedding venue. It is especially good for photography because of the round, overhead lights and if you have clear skies and a sunset. 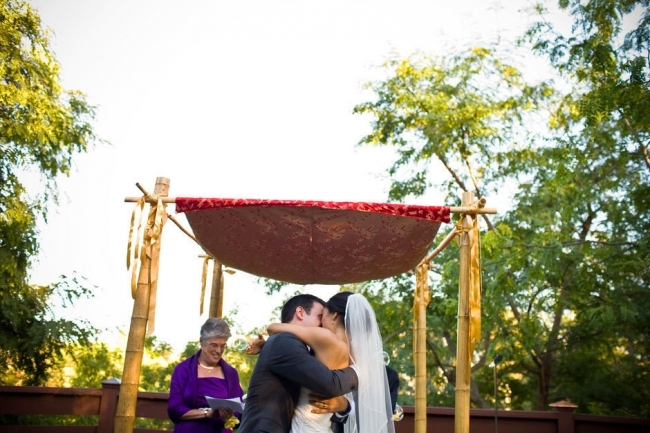 To see wedding photos from here, view wedding photos from The Koi Pond and the Ceremonial Plaza.